Humanity and all living things were subjected to death as punishment for sin, but God in mercy also promised full redemption to man through his Son, the Lord Jesus Christ (the Seed of woman). Though Death has reigned supreme from the time of the fall, it is not eternal. It is the last enemy to be destroyed (1 Cor.15:26). The Holy Spirit is highlighting this promise of making an end of Death now because it is time for the return of Christ to end this old imperfect order and usher in the new. The Anointing of the Holy Spirit is on earth now to destroy Death and redeem our mortal body. Death is no longer an inevitable end to all, man now has the possibility of conquering Death and continuing. The return of the Lord Jesus Christ is to destroy Death and restore immortality to man. The promise is for you. Check it out. 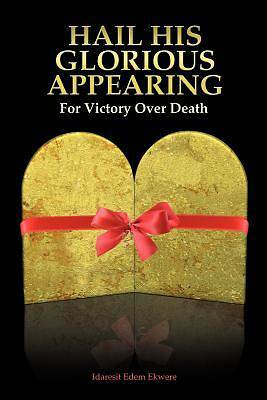 God created Death as the enforcer of His decree of death as punishment upon man for his disobedience. God will also destroy Death as the last enemy of man. As an elect of God, you must join in the fight against Death. The revelation of the voice of the seven thunders (Rev.10:4) is revealing how Death can be destroyed. You may wonder why it is necessary for Death to be destroyed when humanity has already accepted it as part of living. First of all Death is an aberration; it was not in the original creation, and since there is to be a general return to the original at the coming of the Lord, Death must be done away with. Secondly, the bible talks of the first world that was destroyed by flood, and the present world reserved for destruction by fire and fervent heat that would melt the elements. (2Pet.3:6-7; 10). This will be a general destruction, and only the elects of God whose body are deathless will escape. Thirdly, in the beginning man was created a son of God, and like God, he was deathless; he had the image and likeness of God. In the return of Christ, He is coming to restore all things to the original creation, so only those who have the "image and likeness of God" restored in them as the Pillar of Fire will continue. The rest will perish as they will have no representation in God. My brethren in Christ, nobody is in love with Death, and nobody should be. This is an opportunity for you to let God teach you how to conquer this monster. You will live to give the testimony to all generations in eternity. The best part is that you will not live eternally as an old wrinkled, wretched, miserable, and disease and affliction prone human being. God knows better than that. God promised to restore His redeemed saints to youth eternally. (Job 33:24-25). Christ is returning to destroy aging and establish His elects in eternal youthfulness. He demonstrated it in Abraham and Sarah whom He turned to young people again so that they could have the promised son, Isaac. You see, you stand to gain it all if only you will give your life to Jesus Christ and allow Him to pilot you into immortality. "He that overcometh shall inherit all things; I will be His God, and he will be my son."(Rev.21:7). The elects of this Age have the responsibility to bring about the resurrection. The sleeping saints are waiting on us; must we keep them in suspense forever? "And these all, having obtained a good report through faith, received not the promise: God having provided some better thing for us, that they without us should not be made perfect." (Heb.11: 39-40). The Lord Jesus Christ returns to usher in the resurrection, first in His elects, then in others through them. ..".he shall come to be glorified in his saints and to be admired in all them that believe..." (2 Thess.1:10).